I was invited to talk to the teachers in Lynbrook Schools about Computational Thinking and Computer Science for All. They are already doing a lot of great things, and it was very nice to meet them. Here’s the short collection of links I put together for them. 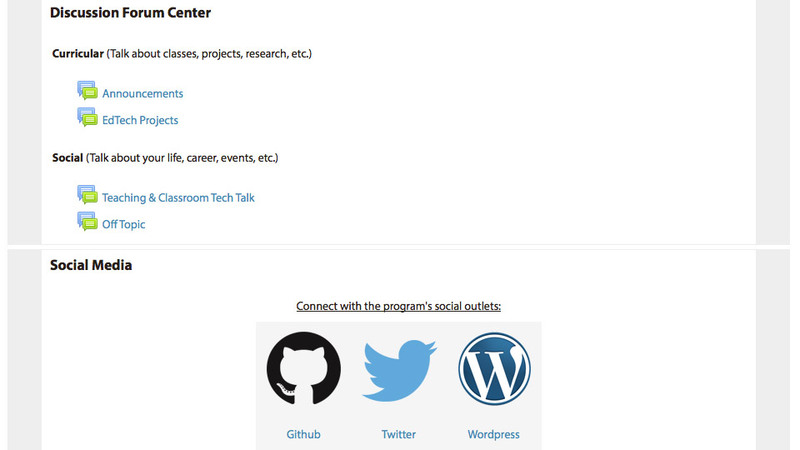 These organizations provide support and resources for schools teaching CS/CT. Good places for finding more CT resources and connecting with the professional community. ACM. (2013). Bugs in the System: Computer Science Teacher Certification in the U.S. The Computer Science Teachers Association, The Association for Computing Machinery. Ariel Fleurimond is an instructional designer at Columbia University. She has an M.A. in Educational Technology and an M.A. in Art Education, both from Adelphi University. She also has a B.A. in Psychology, and minors in Computer Applications and Web Programming and General Education from NYU. She graduated with her degree in Educational Technology in 2014. 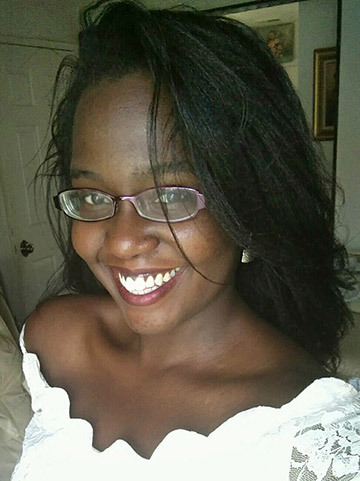 She is currently pursuing a doctoral degree at Teachers College, Columbia University. What led you to pursue a masters in educational technology? As an undergraduate, I pursued a degree in psychology with minors in both computer programming and general education. After I graduated with my bachelor’s degree, I became a vector illustrator because of my love of drawing and the growing market for that type of artwork. Because of the advancements in technology, it was a natural progression to begin working in digital art programs, like Adobe Illustrator, Adobe Photoshop and Jasc PaintShop Pro. When I decided to pursue graduate education, I wanted to incorporate all of my past and current passions, which led to my first master’s degree in art education. My art education degree was a great fit because it provided me with a lot of hands on experience in teaching, but eventually I wanted more. After I graduated, I was able to acquire a position as a teacher at a local elementary school. A master’s in educational technology was a logical progression and I feel that it is a natural next step for all teachers, especially since there is a greater emphasis for schools to incorporate computer science education. In my research, I am noticing a trend: educational technologists, instructional designers, and programmers generally look at the world differently in comparison to other educators. For example, in my previous program, I felt that our best practices were mostly based on tried-and-true methods of instruction, with little room for ground-breaking theories. However, in educational technology, I saw that people were encouraged to question the status quo. At Adelphi’s EdTech program, we were asked to consider questions such as: Can we make open/free education sustainable? Do MOOCs work? Is Howard Gardner’s Theory of Multiple Intelligences valid? I love that we can question some of the classic theories and ask if they are still valid today. In today’s heterogeneous communities, we should ask questions like: How do we change our approach to teaching to assist learners in today’s world? This is the type of inquiry I feel all teachers should adopt, since this can lead to formulating ways to provide students with the best learning experiences possible. This type of degree also helps educators and stakeholders make decisions about technology, such as figuring out if we should invest in SMART Board technology or whether we should subscribe to a learning management system to provide a platform for online students. This degree assists graduates with developing meaningful contributions at various stages of the decision-making process. Quality EdTech programs, like the one at Adelphi, can change how we solve problems in education. What was your experience like in the Adelphi EdTech Program? It was great! The cohort for EdTech was small and very personal. The program provided me with different skills that I didn’t necessarily obtain in the art education certification track. My EdTech degree provided me the ability to have a wider range of job prospects too. Right now, I’m an administrator (instructional designer) in Curriculum and Instruction at Columbia University. The degree prepared me to use educational technology in a typical education field or tech center, but also applies to other career tracks that use technologies. At Adelphi, we focused on past, present, and future student population and the ways in which educational technology has, is, and will facilitate learning for all students. For example, universities and colleges today are looking to see if tools like MOOCs are a worthwhile investment. My exposure to these kinds of discussions in the EdTech program provided me with a great deal of insight to my current position. The program provided each and every student the ability to grow and learn, regardless of their educational or professional background. For example, in my cohort, there were teachers, instructional technologists, and people from other professions. However, with the help of the collective faculty expertise, each student was met wherever they were in order to support community learning. How did the program help with your job search? I think those who evaluated me felt my degree served an important role in my initial screening for the job. To have the degree on your resume shows that you have done the necessary research, worked in the field, and have been exposed to the relevant tools and topics. Some of the other skills I use everyday come from my past experience as a teacher, but a majority of my skills come from my previous technology experience. This turned out to be valuable in any educational setting. What classes did you find the most valuable within the program? The classes I found the most valuable were the computer programming courses, the system administration/networking course, and the open education course. The programming and networking courses were challenging for me because they helped me think about the learning environments that we work in, and how we can create spaces for students so that they can properly interact with their content. The open education and instructional design courses both discussed current theories regarding instruction and were very helpful. Can you briefly describe what you do now? I currently work at Columbia University as an instructional designer on a team focused on different aspects of course, program, and curriculum design. Within our team, we also have divisions specializing in educational media, technologies and online support, and delivery. We manage the project from beginning to end. As a result, we are able to provide the faculty and students with end-to-end support. Additionally, I am also a doctoral student and researcher at Columbia University’s Teachers College. My doctoral research is in instructional technology and media, with a focus on faculty development and teacher education. Other themes and topics that appear in my work include learning sciences, learning development, and instructional design. Do you help the faculty at Columbia incorporate technology into their curriculum or do you recommend ways to make the curriculum more engaging by using different types of technology? It is often a mix of both. For example, to assist in faculty development, the instructional designer may decide to push the course design process along by adjusting to faculty and student needs, and building the course experience out from there. This may or may not include technology, depending on the specific needs. At the early stages of course design or program development, we’ve done the market research—we know the target audience and we are pulling that data together to make informed decisions about which direction to take for our students. As an instructional designer, I work with administrators, faculty, and stakeholders to write program proposals, write and develop courses, identify necessary content for syllabi, incorporate technology, adjust pedagogy, and move courses through the approval process. What is your process for course development? If the course already exists, I may focus on how to adjust the pedagogy or educational technology to leverage instruction. Perhaps there is a different teaching strategy or delivery method that we can use that differs from the course’s previous iteration? If we are developing a course from scratch, then I typically start with certain clarifying questions like: How do you envision your course developing and unfolding? How would you tell the story of your course? How do we make this learning experience the best for the students? For instance, some professors would like to find ways to incorporate group work into their curriculum but don’t how to do this effectively and with less stress on students. This would require me to design the course based on the pedagogical needs of the instructor and account for their experiences with their former students. I might start with some educational technology tools supported by our department and demonstrate some of the group environments available to successfully execute this activity. We may review video conferencing tools like Adobe Connect, Big Blue Button, and Zoom conference rooms. Then I would discuss the best teaching practices and share the pedagogical benefits or drawbacks of the specific design of the activity. I’m also able to bring in my own experience with teaching, my doctoral studies, and any conclusions from my work in the Adelphi EdTech program. What is the most exciting thing for you about working in educational technology? I want to expand the understanding that educational technology isn’t just about installing a SMART Board in the classroom but a way of thinking of how technology can facilitate learning. For instance, one topic I find really interesting is free education. I feel that educational technology is at the heart of this topic, since it allows us to bring quality education to a group of people who couldn’t access quality education before. It allows us to see how these environments interact, or what is needed in order to facilitate an effective learning experience. Is there any advice you would give to me or someone like me in order to maximize my experience within Adelphi’s EdTech program? Bring every bit of experience you’ve ever had because it all links together in surprising ways. Having a close cohort provides great networking opportunities, where people can help you develop and grow within the field. This can seem daunting at first but rest assured: it can be customized to your specific interests. However with the resources and tools of the professors, you will find that it does. I also encourage you to work with faculty and department administrators to get internships, graduate assistantships, or EdTech jobs. Basically, don’t feel like you can’t customize or make the process your own to fit your needs. Interview conducted by current EdTech Graduate Assistant, Ameenat Kadree, in May, 2016. If you’re a prospective student and would like to know more about Ariel’s experience about the program, you may contact her at af2830@columbia.edu or check out her website. 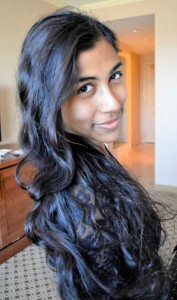 Nafiza Akter is an instructional designer at the New Jersey Institute of Technology. She has an M.A. in Educational Technology and B.A. in Psychology, both from Adelphi University. She graduated in 2013. What was your experience at Adelphi’s EdTech Program? One of the best things about the program is that the professors there are student-centric. They work extremely hard to ensure students have the flexibility and individualized attention they need to create their own learning path, which makes the program such a rewarding experience. An example of their openness is that I was always given the opportunity to openly voice my disagreements. This may not seem like an important part of instruction; however, knowing that I was able to do so, gave me the freedom to think critically. Which I find, is a crucial part of working in any professional field, as you will need to articulate your argument to peers and supervisors wherever you go. In what other ways did the program help you obtain your current position? Actually, one of my professors recommended that I start applying for positions, prior to finishing the program. I didn’t really realize that it would be strategically sound for me to apply prior to graduating, however this advice proved to be very valuable information and is another example of the student centric mentality of the program. Also my current employer, NJIT, was very impressed with my programming background. What classes did you find the most valuable in regards to your current position besides the programming courses? I think all the classes were really useful. They certainly gave me a great foundation and served as a starting point of knowledge for an ever-evolving field. Another great thing about Adelphi’s EdTech program is the program’s structure. In my current position, I have worked on revising or reviewing program structures. This helped me appreciate the structure of Adelphi’s EdTech program. The program is well laid out to ensure that students can graduate on a timely manner and gain the required core knowledge necessary to remain competitive in the field. In regards to any innovative field like EdTech, you can pursue a lifelong career in just learning everything there is to know about the field. However, Adelphi’s program provides a good foundation or introduction into Educational Technology by covering all of the major topics in the field. Basically you are exposed to not only the philosophy aspects of EdTech but the curriculum design and programming aspects as well. The program is well laid out to ensure that students can graduate on a timely manner and gain the required core knowledge necessary to remain competitive in the field. What led you to pursue your M.A. in educational technology? Prior to obtaining my Bachelor’s in Psychology at Adelphi University, I worked on the Virtual Video Project at Global Kids (GK). They’re a non-profit organization that works mostly with New York City’s urban youth and prepares them to become Global leaders of their community. At GK, I worked with the team that created machinima, which are films created on 3D platforms. The Virtual Video Project used Teen Second Life, the teen version of the online virtual world created by Linden Labs, as the platform. I also used Teen Second Life to run virtual workshops to educate other teens on global issues. My time at GK sparked my initial interest in digital media. After working with Global Kids, I began my Bachelor’s in Psychology at Adelphi while working at the Faculty Center for Professional Excellence at the University. I worked as a Student Instructional Technologist and my focus was training faculty on Moodle the learning platform. I continued to work at the Faculty Center as a student technologist until competing my Bachelors in May 2012 and then made the decision to begin my Master’s in Educational Technology in January 2013. My time at GK…. sparked my interest in digital media, leadership, social justice, and educational technology. From then on, I stayed involved in education and technology, even incorporating it into everything I did. This is why I loved working at the Faculty Center while competing my Bachelor’s, and then moved on to the MA in Ed Tech to pursue a in depth academic background in the field. What is the difference between instructional design and instructional technology? Depending on the strategic plan of the company or university you work with it, the difference between the two may vary a little. Even though I focus more on the curriculum development side of the job at my current position, I still help instructors choose or find the appropriate technologies for their curriculum. I also look at their curriculum map and see where we can add things or remove things. I also try to find ways to assist faculty with students who are struggling in certain area, or ways we can improve the curriculum with technology. Nevertheless, the main goal is to ensure their student success. As an instructional technologist at Adelphi, I focused on teaching faculty how to use technology, specifically Moodle in their classrooms. Can you take me through the process of your day to day as an instructional designer? 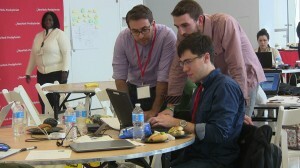 I’m currently working as an Instructional Designer in NJIT. At NJIT, I get to work with faculty on a wide array of things. Sometimes I’m working directly with faculty and program directors on various degree programs. I also utilize my expertise in the various programming languages as much as possible and I am very grateful to have learned it at Adelphi. I have also helped with curriculum development. Worked with faculty on current research projects. I sometimes help faculty select appropriate technology for the needs of their curriculum. I even partner with faculty to deliver instructional components for certain lessons. Also on a day-to-day basis, I recommend and use the various Google Apps. I personally also love using the Adobe suite, especially Photoshop and Illustrator. As far as my job, in addition to working with faculty to develop courses and programs, I am a big part of the Converged Learning Initiative, which is a significant portion of NJIT’s strategic plan; the idea is that students get to choose how they attend each class session, whether its face to face, remote via a video conferencing tool, or asynchronously watching recorded learning objects. Instructors teaching in this way get paired with a Student Technician that is trained by me to help resolve all technical issues in the classroom and with remote students. 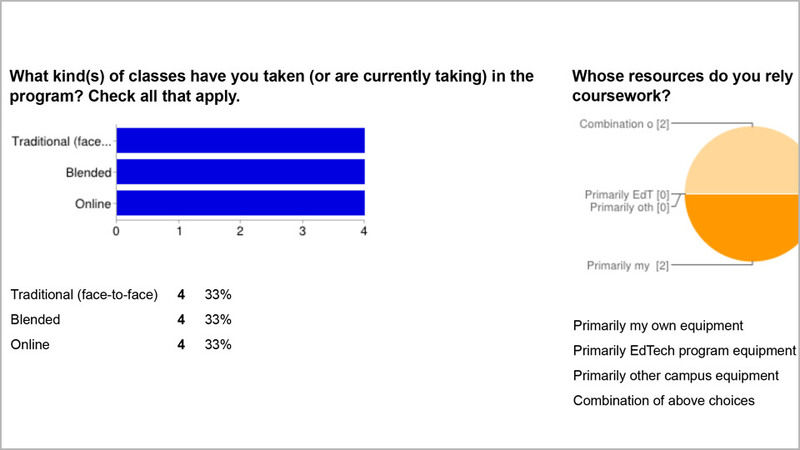 This can relay any questions remote learners have to instructors. I work with faculty and students to understand what their needs are in terms of learning spaces, and I work with faculty on research and grant projects. Most recently, I worked with a faculty member on a MOOC that was on Canvas called the Strategic Communicator’s Toolkit. What do you think is the most exciting or interesting new things in about careers in educational technology or instructional design? Some of the ideas or technologies I currently find interesting are adaptive/just-in-time learning and wearable technologies. I also recommend media creation and editing tools, like Adobe Premiere and Final Cut Pro for video production and Photoshop and Illustrator for graphic design, as important tools to know. I feel that video and media production will be an ever-growing trend. One thing I worry about wearable technology is how can faculty maintain a level of academic integrity in the classroom. For classes that are very technical and students need to recognize and reiterate that they grasp key terms and concepts, it’s pretty essential that the testing environments are fair for everyone. I do not have a solution for this, but it poses a great question for future instructors. Adaptive learning is student specific and helps differentiate learning for students, which will keep students engaged and motivated based on their learning level. What advice would you give someone who is just starting out in Adelphi’s EdTech program? Always ask questions! Ask yourself: What do you like to do? What are you interested in? Do you want to do this for a living, or just as one part of your job, or just something as a hobby that you keep up with? If it’s one part of your job, what is the maximum percentage that you be happy with? How can you integrate this into other courses you are taking? What can you add to your portfolio? How can you highlight your skills in your portfolio? For instance, if you want to work in media creation, perhaps you can submit, along with your research paper, a video you created on your research. These are some of the main questions I would ask. They help me focus on my work and goals. Other things you might want to ask: Where do you want to work? What kind of environment do you want to be in? Do you want to be in a startup, a big company that’s been established for a long time, or do you want to be in Higher Ed or K-12, or do you want to go abroad? The Educator’s Multimedia Studio is a capstone course that asks students to build on the skills they acquired in their prior coursework (e.g., Programming, Digital Literacies) and apply it towards a semester-long multimedia project. Each semester, the course has a unique theme that reflects a contemporary social concern. Students read a shared text based on this theme, and then develop projects that require them to do additional research. This project should contain an informational or persuasive element to it, using the research as a way of further supporting their points of view. The students voted for “Income inequality” to be this semester’s theme. Regardless of political affiliation, most people feel that the growing income disparity is a persistent problem that threatens our sense of equity and democracy. But pundits disagree on many fronts: on the causes of income inequality, on the extent of it, and on the solutions to closing the gap. This semester, students read Jacob Hacker and Paul Pierson’s book Winner-take-all politics: How Washington made the rich richer – and turned its back on the middle class. This book engendered lively debates about the role of government and corporations in society and whether there is anything we can do to curtail this growing inequality. Tom is working on an augmented reality experience that allows users to follow the money of the top ten richest individuals in the United States. The experience is intended to allow users to see how the money flows between corporations and governments, and how that affects economic policies and decisions. Christiana and Prem’s project examines the growth of select neighborhoods in Queens through a gallery, using a combination of videos and photos. The website uses census data as well as other data collected from libraries and museums to show the changing demographics and income levels of these neighborhoods. Mitch is doing a documentary on how the FEMA funds for Sandy Hook is distributed among different communities. His documentary involves interviews with people affected by the hurricane and looks at how different neighborhoods receive different funding opportunities, depending on their affluence. Miheliwan’s project is an animated video which looks at income inequality in China. Her project draws on data collected by experts on Chinese economics and compares the income disparities in China with what is happening in the United States. Erin is working on an e-textbook for her students, based on the topic of income inequality. As a teacher, she had found the paper textbooks to be dry and uninteresting. Using iBooks, she is designing an electronic textbook that is based on her assigned textbooks, but uses multimedia objects to enhance learning. Katy is designing an interactive website to look at charter schools in different New York City neighborhoods. The website also describes the policies behind charter schools and examines how it affects different communities. Stan’s project is a mobile app that teaches information literacy and will use income equality as an example. Users will answer questions and complete challenges as they learn how to do college-level research in a way that is more effective than any tutorial that the library can offer. Students go through an initial pitch, a midterm critique and a final presentation, during which they will present their work to the larger community for further feedback. Students are encouraged to continue working on their projects beyond the duration of the course, and to get them ready for actual consumption in the classroom and/or by the public. This article was originally published on April 14, 2014. To learn more about the Education Technology program at Adelphi University, please visit our online M.S. in Education Technology page. 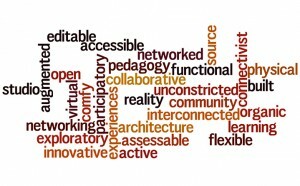 Open Access platforms: Open Educational Resources, or something else? Open Access (OA) resources are obviously different from Open Education Resources (OER). Open Access concerns itself with access only, or primarily, and less with the anarchistic/democratic remixing and repurposing that are key (though unpopular and underutilized) to Open Education Resources. With Open Access, the format (scholarly articles) tends to remain familiar, and “reuse” is limited largely to the traditional scholarly practice of citing each others’ works. The OA/OER distinction may fade as Open Access comes to include formats other than traditional research articles, especially the open distribution of raw data that subsequent researchers can pick up and use/repurpose in their own research, making Open Access content more mutable and far more powerful. But for now there is a fundamental difference between Open Access platforms (where software is usually closed, proprietary) and OERl platforms, which are more committed to open source at every level. There is only one (major) Open Access platform that is also OPEN SOURCE: DSpace, which is currently being used to host over 1,000 digital repositories. Is there a difference between “open access” and “open educational resources” in users’ minds? Users want free authoritative content that is easily discovered, beyond school and even when they are in still school and enjoying institutional access—since traditional library platforms are not changing to meet evolving user expectations. 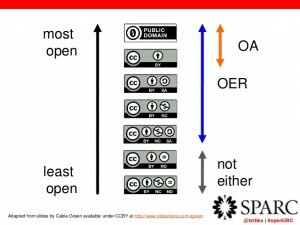 In fact the SPARC (Scholarly Publishing and Academic Resources Coalition, a pro-OA coalition) chart below identifies traditional Open Access sources (either public domain or covered by CC BY licenses) as more open than traditional Open Education Resources covered by the CC SA (ShareAlike) or CC NC (noncommercial) licenses. The two basic models for Open Access are “gold” and “green.” Gold open access entails publishing in an established open access journal, such as PubMed (NIH funded research must be published here) or Public Library of Science (a prestigious, peer-reviewed suite of journals where authors pay steep publication fees). Green open access is self-archiving. Most universities have an “institutional repository”— for example Columbia’s Academic Commons; or Bard’s Digital Commons— where universities vet and oversee content generated by their communities. (Adelphi does not have either a repository or an Open Access policy or statement.) The platforms themselves are proprietary (Academic Commons and Digital Commons are the main ones) and often very expensive to subscribe to and maintain; only DSpace is open access. Universities absorb these costs. Other green open access platforms include subject-oriented repositories like the massive science repository arXiv (maintained by Cornell, it hosts over 1,000,000 articles) or e-lis, an e-print repository for library research—which, it was pointed out at a recent OA conference, hardly anyone uses. If even library faculty are unwilling to self-archive their research on open access platforms (preferring more prestigious journals), how effective can we be at urging others to do so? More broadly, Open Access is in such a state of flux that it’s poorly understood even by professional librarians. It’s easy to see how the recent and ongoing infusion of full-text, quality research to the open internet could contribute to information overload. This article was originally published on May 15, 2015 as part of a series on Open Education Resources written by students in the Spring 2015 course, Foundations of Open Education. To learn more about the Education Technology program at Adelphi University, please visit our online M.S. in Education Technology page.